Cloud computing is the latest of computing paradigms. It promises to change the way people use computing resources. Using Internet as the backbone, cloud computing asserts that it is possible to provide computing as a “utility” to end users “as and when needed” basis. Cloud computing has a potential to serve users of all kinds: individual users, institutions, industry at large. This report cover issues such nature and scope of cloud computing, its applications, business rationale etc. Cloud computing is a business model that harnesses the web as the ultimate business platform. Cloud computing is impregnated with immense potential for array of practical applications. The model is expected make computing needs available via web on retail basis and is called cloud computing. 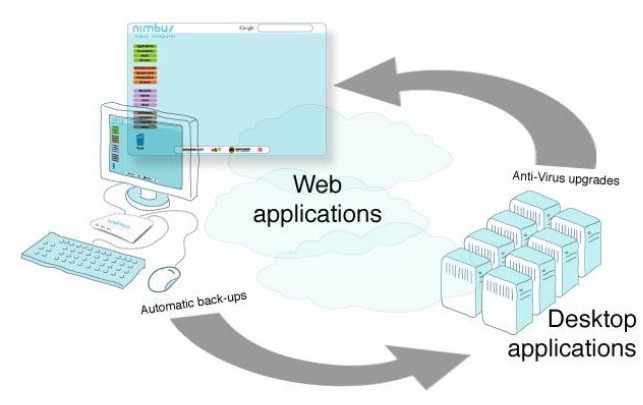 Cloud computing intends to make the Internet the ultimate home of all computing resources- storage, computations, applications and allow end user toavailable them in quantities of her choice, location of their preferences, for duration of their liking. In other world web become the provision store for all your computing needs. Why do I buy a computer when I use it for only few hours a week? Why do I buy a printer when I need printing occasionally? Is it possible to avail computing on “need basis” as it is possible in case of “electricity” or “water? In other words, can I avail computing resources such as storage, application, and infrastructure as a “utility”? The answer is yes. And the name of model which is expected make computing available on retail basis is called cloud computing. Cloud computing intends to make the Internet the ultimate home of all computing resources- storage, computations, applications and allow end user (both individuals and business) to avail these resources in quantities of her choice, location of their preferences, for duration of their liking. In other world web become the provision store for all your computing needs. A business model built on this paradigm offers these resources as services either on pay per use basis or rental basis. 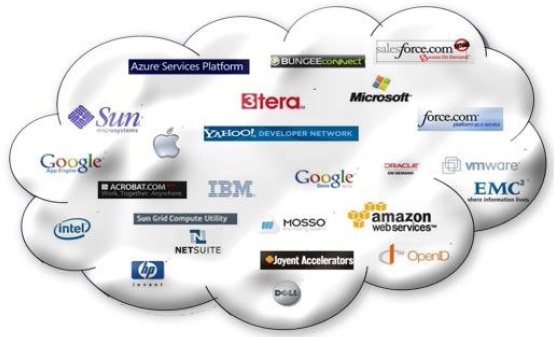 Cloud computing infrastructure accelerates and fosters the adoption of innovations. Cloud computing can enable innovations. It alleviates the need of innovators to find resources to develop, test, and make their innovations available to the user community. Innovators are free to focus on the innovation rather than the logistics of finding and managing resources that enable the innovation. Cloud computing helps leverage innovation as early as possible to deliver business value to a company and its customers. Cloud computing infrastructure allows enterprises to achieve more efficient use of their IT hardware and software investments. Cloud computing can increase profitability by improving resource utilization. Pooling resources into large clouds drives down costs and increases utilization by delivering resources only for as long as those resources are needed. Cloud computing allows individuals, teams, and organizations to streamline procurement processes and eliminate the need to duplicate certain computer administrative skills related to setup, configuration, and support.